The excitement that greets Diageo’s annual Special Releases is often mingled with dismay and even hostility at the price increases that accompany the event. So what’s going on? Are the complaints of excessive prices justified, or is the situation more complex? Richard Woodard investigates. Additional reporting and research by Becky Paskin. The average price of Diageo’s Special Releases Scotch whiskies has soared by 324% over the last four years (scroll down for a detailed infographic) – but there’s more to this surge than meets the eye. Every year, the release of selected rare bottlings from the company’s extensive stocks prompts both great excitement and howls of protest from whisky enthusiasts at what they see as disproportionate price rises. However, the apparently stratospheric increases have been largely driven by the cult status of two closed distilleries: Islay’s Port Ellen and Brora in the Highlands. Port Ellen’s average bottle price has increased by 700% since 2011, while that of Brora is up 333% over the same timescale. Strip this pair out of the pricing equation and the average price of the other Special Releases has risen by 20% since 2012 (disregarding 2011, an anomalous year in which only three bottlings from operational distilleries were included). That's broadly in line with the price inflation seen by premium single malts over the same period. The two ‘lost’ distilleries follow a different template from the rest of the Special Releases bottlings, with the sharp escalation in pricing driven by the simple dynamics of supply and demand. Supply: both distilleries closed in 1983, which means that the remaining stocks are diminishing all the time, and are at least 32 years old. Demand: even as those stocks have diminished, they have become even more sought-after by a growing number of whisky collectors all over the world. At the same time, broader single malt pricing has soared on both sides of the Atlantic, with the average price of a basket of popular brands at specialist retailers rising 161% in the UK over the past decade, and 116% in the US over the same timescale. We’ll be looking at these more general pricing trends in greater detail on Scotchwhisky.com soon. Move into the ‘collectible’ segment of restricted releases and the upward pricing trend becomes even clearer and stronger – witness Balvenie’s recent release of the first instalment of the DCS Compendium, including a nine-year-old single malt priced at £400, and Bowmore’s Devil’s Cask annual edition, which has leapt in price from £50.99 in 2013 to £190 this year. Such price inflation for younger whiskies released by operational distilleries is only likely to accelerate further when it comes to decades-old expressions from the likes of Brora and Port Ellen. Pricing for the two cult closed distilleries is also influenced by trends in the secondary market: Port Ellen’s 2011 Special Release was priced at the time at £300 a bottle; now – if you can find it – it’s likely to set you back about £1,500. The 2012 Special Release started life at £600, but is now £1,500-1,750; and even 2013, originally priced at £1,500, tops £2,300 now. For Brora, the trends are similar, if less pronounced: 2011 was also priced at £300, but is now about £800 or so; 2012 has surged from £400 to roughly £1,100; and 2013, set at £750 when released, now tops £1,000. The steep price increases for older bottlings are partly caused by the simple diminution of available stocks, but recent trends suggest that release prices are catching up with the secondary market. So, looking at 2014, Port Ellen was released at £2,200 a bottle – 47% up on 2013 – and, over the course of the past 12 months, has only crept up to about £2,400; meanwhile, you can still find Brora’s 2014 bottling at the release price of £1,200. Furthermore, a year after their launch, not one of the 2014 Special Releases had sold at its original price or higher on Scotchwhiskyauctions.com. Over the longer term, independent bottlings of cult closed distilleries follow a similar – but rather less dramatic – upward price trajectory as that of the Special Releases. So, for instance, Douglas Laing’s XOP Port Ellen release this year, a 36-year-old, will carry an RRP of £1,150 – more than three times the price charged for the 32-year-old release from 2011. However, it would be overstating the case to suggest that only closed distilleries are capable of commanding the highest price tags and adding to their value after release. 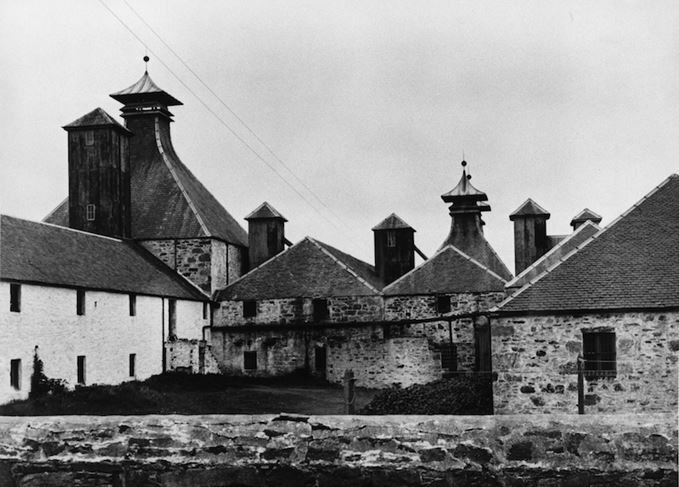 In 2013, Lagavulin 37-Year-Old – the oldest expression from the distillery bottled to date – topped the Special Releases pricing charts at £1,950 (higher than the £1,500 asked for Port Ellen 34-Year-Old in the same year). Two years later, while pricing for the 2013 Port Ellen release has moved above £2,300, the Lagavulin has almost matched that level of inflation, moving up to £2,750. The pressure on aged whisky stocks of all kinds is well-publicised and has been growing strongly in recent years: again, simply because an increasingly large number of people are competing for a progressively smaller amount of liquid. That central dynamic holds true for desirable bottlings from open and closed distilleries alike; but is clearly magnified when the distillery in question has been silent for more than three decades. The bigger question for the future is whether Special Releases pricing (especially for Brora and Port Ellen) is near or at its peak, now that it appears to be more closely aligned with trends in the secondary market. But, to answer that question, we’ll have to wait until next year and the 2016 Special Releases. Our editors assess this year’s eagerly anticipated collection of Scotch whiskies from Diageo.